The HSV-1 herpes virus affects 67% of people globally under the age of 50 1. This herpes virus causes the formation of a cold sore or fever blister 1,2. The virus is highly contagious especially when symptoms are present however, can also be transmitted in the absence of symptoms1. 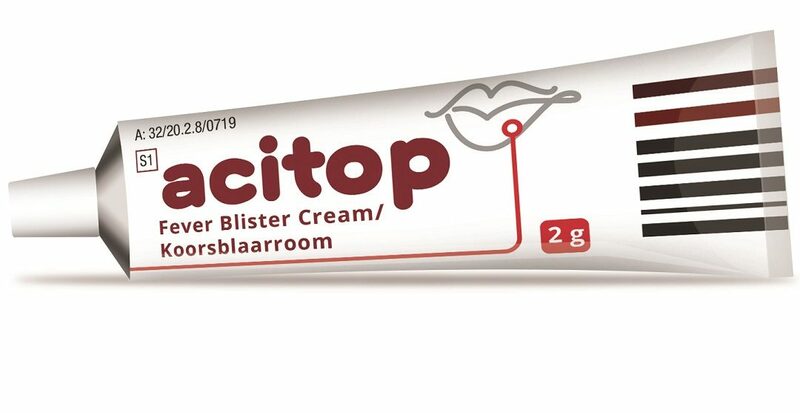 AcitopTM, the market leader in cold sores and fever blisters3 has undergone a redesign, with new packaging now available on shelves at leading pharmacies countrywide. Acitop is marketed by iNova Pharmaceuticals and is clinically proven to provide targeted relief for cold sores and fever blisters caused by the herpes simplex virus4,5. Acitop cream prevents the herpes virus from multiplying, helps clear up the outbreak faster and reduces the severity of symptoms4,5,6. Cold sores, fever blisters or herpes can be triggered by several factors including a viral infection or fever, fatigue, physical or emotional stress, extreme weather, excessive sunlight, menstruation, trauma, immunosuppression due to AIDS or medications such as chemotherapy 5,6,7. For more information, go to www.inovapharma.co.za. Difference Between Fever Blister and Cold Sore. Difference Between. Online October 2017. Accessed October 2017. Available at URL: http://www.differencebetween.net/science/health/disease-health/difference-between-fever-blister-and-cold-sore/. Acitop approved package insert, June 2003. Usatine RP, Tinitigan R. Nongenital Herpes Simplex Virus. Am Fam Physician. 2010;82(9):1075-1082. Mayo Clinic. Cold sore [online] [cited 2018 March 16]; Available from URL: https://www.mayoclinic.org/diseases-conditions/cold-sore/symptoms-causes/syc-20371017.